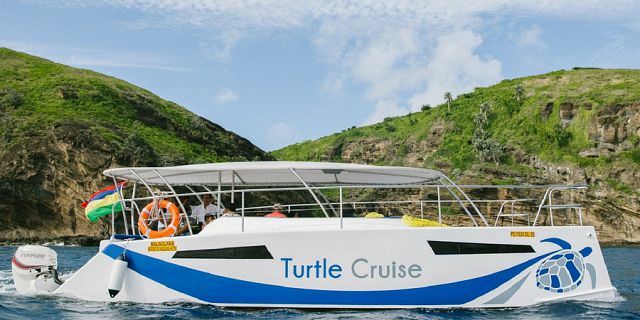 Enjoy a private tropical cruise aboard the fastest catamaran, the Turtle Cruiser, currently operating in Mauritius. This half day cruise is ideal for those wishing to enjoy an amusing time with their loved ones; family or friends, in an intimate setting. 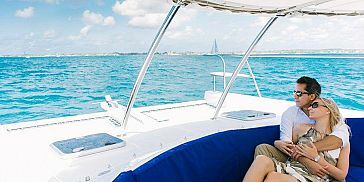 The luxurious catamaran will take you on a discovery venture along the North-West coast of the island where you will get to bask in the beauty of the magnificent lagoon and the breathtaking surroundings. 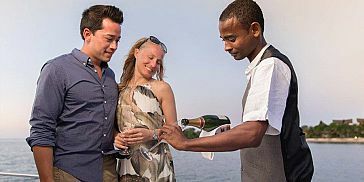 You will have an excellent range of entertainment options from snorkelling to live musical performances onboard; you will be spoilt for choice. 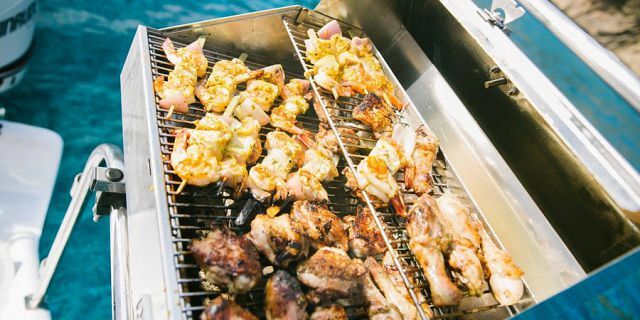 You will experience an enjoyable, intimate time onboard with the possibility of relishing a gourmet Asian Fusion BBQ lunch, served by an on-board private butler. If you are vegetarian, you will have the choice between a vegetarian or an Indian one, provided you make it known in advance. 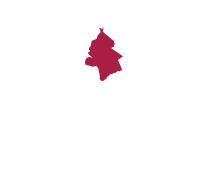 You will also be offered complimentary beverages such as soft drinks, beer and wine. Furthermore, a dedicated crew will be at your service throughout the cruise to ensure all your needs and wishes are met. The catamaran cruise is proposed twice a day so you will have the choice of getting onboard at either 9 am or 11 am at Balaclava in the North region of the island. The cruise will last for a total of 4 hours so, depending on what time you board the catamaran, you will get back at either 1 pm or 3 pm. 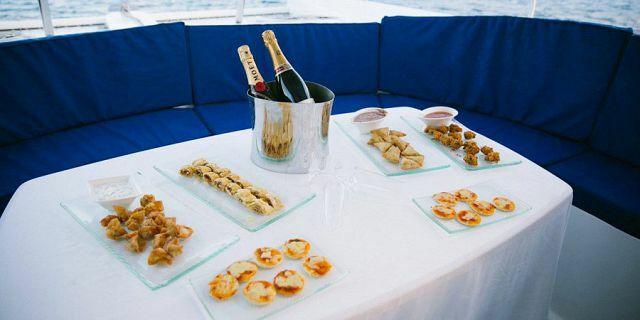 Have a wonderful experience on this catamaran, designed to offer you a maximum of comfort and intimacy. 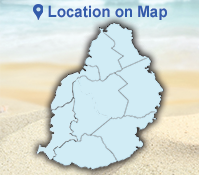 Discover the peaceful, gorgeous atmosphere of the Northern coast while spending quality time with family or friends. You will glide on the calm, turquoise waters of the Indian Ocean from Balaclava to Mont Choisy (Ile aux Phales) or Trou aux Biches. 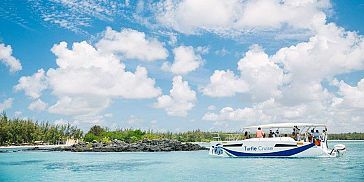 The catamaran will stop briefly by the charming isle of Ile aux Phales for you to explore and will also give a splendid snorkelling opportunity through a vibrant marine park along the way. 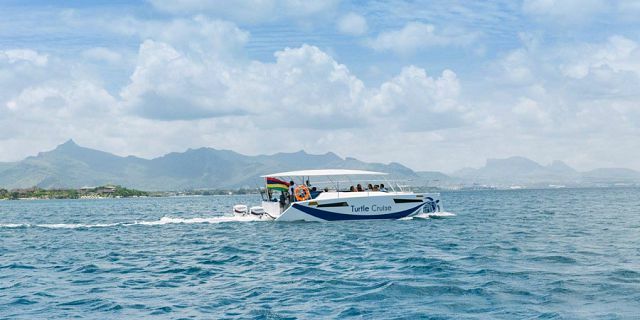 Designed and custom built in Mauritius by leading yacht developer Rayvin Yachts Ltd, the Turtle Cruiser is an innovative high-performance Power Catamaran. The Turtle Cruiser concept is different from other catamarans as it was conceived for privacy and exclusivity. Crafted with luxury, utility, and safety in mind, the catamaran is recognised for its stylish design as well as for its fast manoeuvrability. Its system warrants fuel efficiency, low gas emissions, and negligible levels of vibration and noise, thus ensuring smooth rides to passengers. In addition, the Power Catamaran is equipped with all-modern navigational technology and safety devices, including top class GPS and Fishfinder technology. 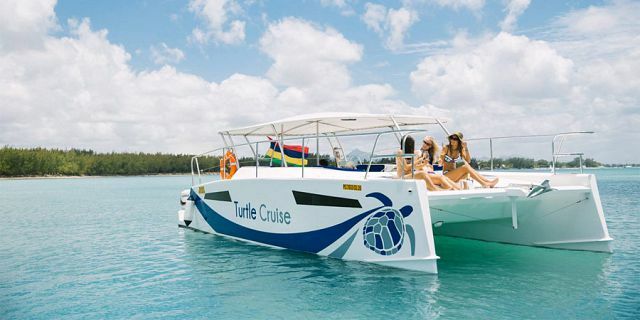 Turtle Cruiser is fully licensed by the Tourism Authority of Mauritius to operate commercial catamaran excursions in the Republic of Mauritius. Swimming accessories; buoys, beach ball, inflatable mattress, etc. All participants are required to wear a Personal Flotation Device. 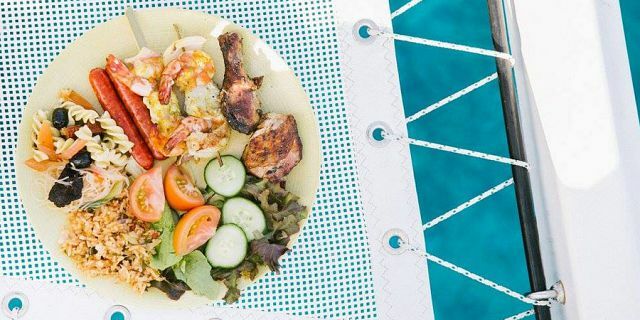 Guests under the age of 18 must be accompanied by an adult who is the parent, relative or legal guardian of the minor and must be under adult supervision at all times. The Captain reserves the right to change/alter the itinerary at anytime during the trip (e.g due to adverse sea conditions). Clients will be requested to sign a Personal Liability Agreement at the departure point, prior to the cruise.